Cars are generally more reliable than ever before. 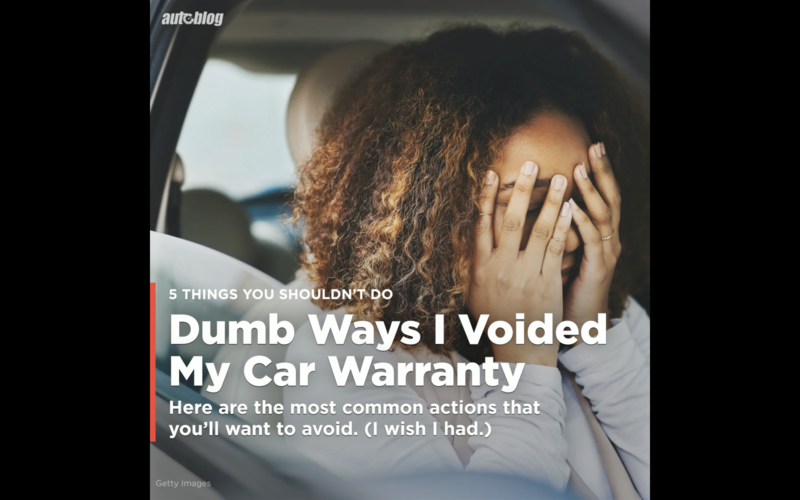 When things do go wrong, every automaker offers some form of factory warranty (in most cases at least three years and 36,000 miles, though many extend even longer), providing peace of mind to new-car buyers that many faults will be fixed at no charge to the customer. Starting today, GM is offering a new optional plan that will extend the factory warranty on all new Chevy, GMC, Buick and Cadillac products. In the past, extended warranties have been offered as dealer add-ons, with all profits from these sales going to the dealership. GM's new program can be viewed as another nail in the the looming dealership-model coffin. According to Automotive News, some dealers aren't happy to see GM cut into their business like this, saying that it helps GM far more than it does dealers. GM says the new program will help keep customers in the GM family. Customers are also more likely to visit a GM service center rather than going to an independent repair shop. Currently, new Chevy and GMC vehicles come with three-year/36,000-mile warranties. Buicks and Cadillacs are covered for 4 years or 50,000 miles. The new program extends Chevy and GMC warranties to five years or 60,000 miles. Buick and Cadillac warranties extend to six years or 70,000 miles. GM, citing IHS Markit, says most owners keep new cars for about 6.8 years, so these warranties will cover most of the length of their ownership. The extended warranty will add between $1,000 and $2,000 to the price of a vehicle, and the additional cost can be rolled into the vehicle's purchase or lease price. Unlike many dealer extensions, the factory program covers the vehicle no matter who owns it. That should help increase the car's resale value if it's sold within the covered timeframe. GM says there's no deductible and no need to file a claim form when getting warranty repairs. Additionally, dealerships can continue to sell their own extended warranties or service contracts.